The source, who asked not to be named, said the ambassador was summoned on 20 September by the foreign ministry’s Europe director-general. “Keeping (Catalan) politicians under arrest for months is an even more insidious act, a proof that the central government in Spain is not able to meet the conditions to be part of a modern democratic European Union,” he added. New foreign minister Josep Borrell, a Catalan himself, said earlier in September that personally, he “would have preferred” the judge to take another measure rather than provisional detention. Belgium: a Paradise for terrorists, assasins, rapists and corrupts is talking about democracy and fundamental rights? What is the reason behind this person is supporting the coup d’etat implemented by the corrupt catalan separatists? Well I am left-wing, a democratic republican socialist but I agree with the leadership of my fellow democrat Jan Peumans 100%. Socialists and conservatives, left and right, anyone who is a democrat can link arms and stand together on this issue. We are brothers and sisters who believe in a democracy so we stand united in our demand for the release of political prisoners. 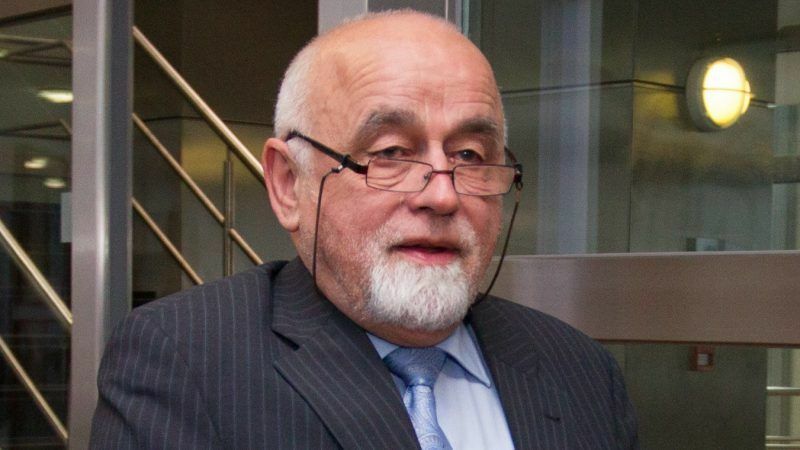 Thank you very much Jan Peumans. I agree enthusiastically! European political leadership and European legal action with the aim to secure the release of political prisoners unlawfully held anywhere in the European Union must be the right thing to do. The European Court of Human Rights can decide to consider a matter whenever it chooses to do so. The Court of Justice of the European Union, too, has competence to hear individual complaints of alleged human rights violations and the CJEU can decide to consider a matter when it chooses to do so. 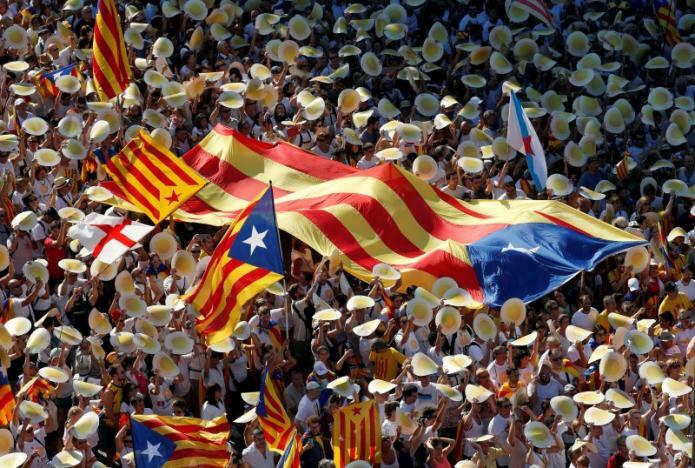 Spain cannot forbid the European courts from deciding on any matter while Spain delays for one year or indefinitely, while Spain locks up political prisoners for one year or indefinitely nor while Spain violates human rights law for one year or indefinitely. The King of Spain does not hold his Spanish guns to the heads of the courts of Europe. However much the King of Spain would like to be the King of Europe too, he is not, I am pleased to note. The Spanish royalists and fascists have their political reasons for taking political prisoners. Every law breaker has his reasons for breaking the law. Legal action in the ECHR or in the CJEU does not impede any other political action to secure the release of the political prisoners. Any action which can secure the release of these political prisoners should be supported. I suggest the political prisoners should hire European lawyers, with experience of taking human rights cases to the European Courts. The Spanish Constitutional Court is indeed a shamed court. It is not a court of law. It is the Kings court, which royalists use to imprison the Kings political opponents. This King and his constitutional court seem to be behaving like fascists, enemies of freedom and democracy, enemies who would subjugate, enslave and tyrannise the free people of Catalonia, Spain and Europe. It is beneath the dignity of the free people of Europe to make any plea to our fascist enemies. There is only one thing the Allies required of our fascist enemies at the end of World War 2 – unconditional surrender. It seems that the King of Spain did not get that memo. Lawyers for the political prisoners should take this case directly to the European courts. The imprisonment of the nine political prisoners in Spain is unlawful, contrary to human rights law, therefore their lawyers should report their unlawful imprisonment to the European courts – the ECHR and / or the CJEU – pleading that the court does issue a writ of Habeas Corpus, addressed to the King of Spain and to the Spanish Constitutional Court commanding that these nine prisoners be brought before the European Court of Human Rights for determination of whether or not their imprisonment is lawful or unlawful and if “unlawful” to release them from custody. Should the King of Spain and / or the Spanish Constitutional Court refuse to order that these nine prisoners be brought to the European Court then the King of Spain and / or the Spanish Constitutional Court could be charged with contempt of court – contempt of the European Court, which could issue a warrant for the arrest of the King of Spain and / or of the prosecutor and the judges of the Spanish Constitutional Court to answer the charge and if found guilty, punished accordingly.